Aunty Marlene Gilson is a Wathaurung (Wadawarrung) Elder living on country in Gordon, near Ballarat. 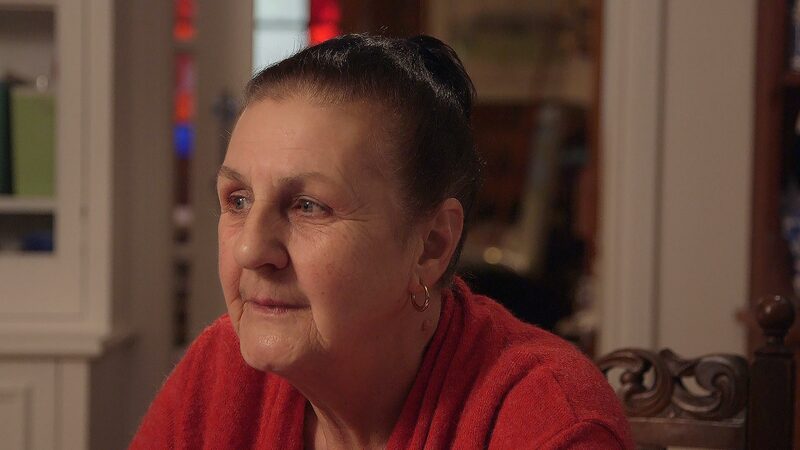 A visual artist who discovered painting later in life, Aunty Marlene’s paintings explore Aboriginal myth and stories of the goldfields. Her work is marked by a naive style which references her Indigenous and European ancestry. She is a descendent of King Billy, an Indigenous tribal leader of the Ballarat region at the time of the Eureka Stockade, and his wife Queen Mary. 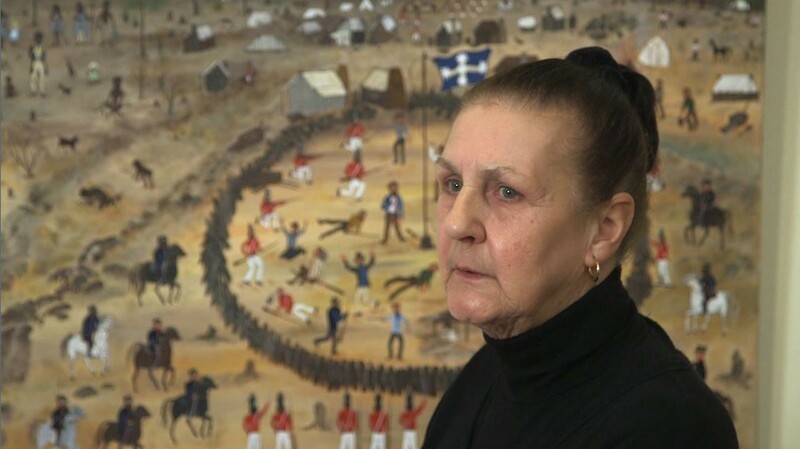 In this short film Aunty Marlene describes the stories she depicts in her paintings ‘Mount Warrenheip and Eureka Stockade’ (2013) and ‘Life on the Goldfields’ (2014). 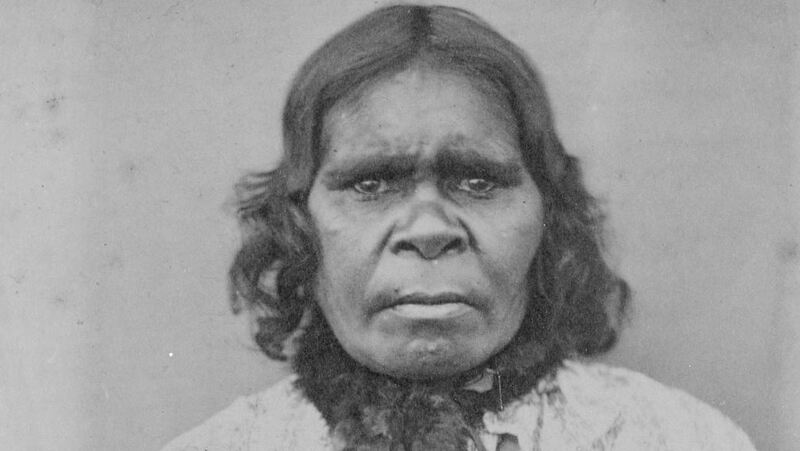 She talks of life for her ancestor King Billy, the wearing of breast plates, Indigenous women’s skills of basket weaving and textiles, and she speculates on what Indigenous people must have felt at the time of Eureka. ‘Mount Warrenheip and Eureka Stockade’ © Marlene Gilson, 2013, ‘Life on the Goldfields’ © Marlene Gilson, 2014. Art Gallery of Ballarat, Ballarat Historical Society, Old Colonists Club, Ballarat, The Gold Museum, Ballarat, State Library of Victoria. 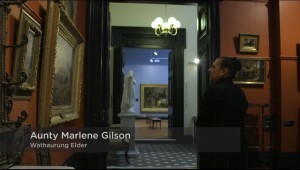 Fred Cahir, Ian Clark, Peter Freund, Clare Gervasoni, Barry Gilson, Deanne Gilson, Gordon Morrison, David Miller, Claire Muir, Janice Newton, Roger Trudgeon, the Old Colonists Club Ballarat, and the Art Gallery of Ballarat.